The New Yorker has a thoughtful essay by Ian Crouch about the spiritual and religious themes in Will Smith’s fact-based movie, “Concussion.” Smith plays real-life doctor Bennet Omalu, who insisted on pursuing the issue of head trauma in professional football and its long-term impact on players. he movie’s moral arguments are framed less as matters of medicine than of religious faith. It’s not a sports movie, or a medical thriller, so much as a Christian homily….Omalu is a kind of prophet, an outsider who can see a truth that those around him, blinded by their own cultural prejudices, cannot, and who is punished and shunned for spreading a gospel that those in power do not want to hear. 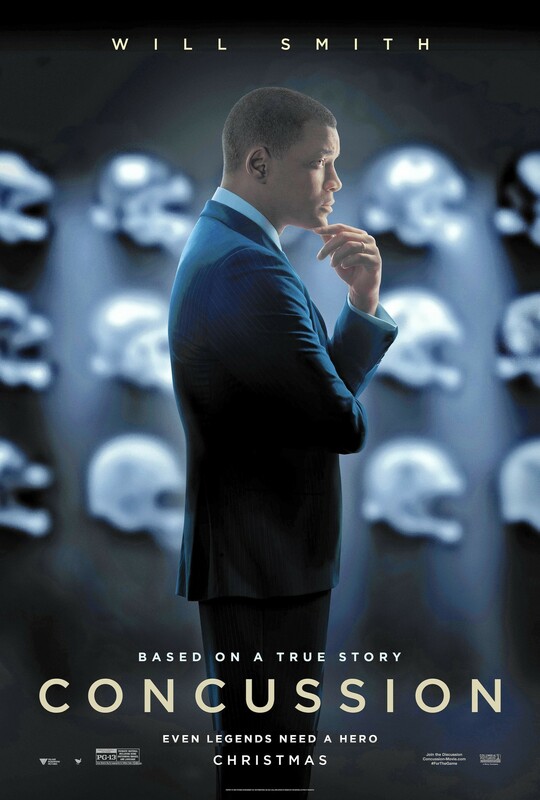 This makes for a heavy-handed, often treacly movie: Will Smith’s version of Omalu is as the lone principled man in a world marred by compromise—and saints, even when they are martyrs, are boring protagonists. But as a polemic, this evangelical argument is interesting and novel, suggesting that football’s dangers are not merely physical, but spiritual as well. This might be the movie’s most subversive message: not that the N.F.L. stood in the way of scientific research about the health of its players but that it occupies a false place within the religious and patriotic beliefs of so many of its fans, whose Sabbath routines are timed perfectly so that Sunday service ends just in time for kickoff.